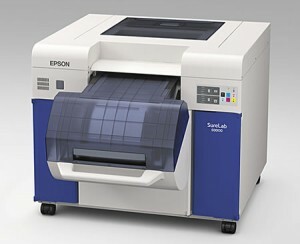 Thinking of getting an Epson D3000? A long awaited blog post! Here at Color Confidence we work with some of the leading brands in digital imaging and colour management, one of which being Epson. Epson have been producing market leading photographic printers for the digital imaging markets for generations. The SureLab range is the latest in their product line and sets the benchmark for Dry Lab accuracy and quality ideally suited to high-end photography print production. In particular, the D3000 is designed for high-quality photo print production offering a print quality and colour consistency comparable to that of Epson’s professional graphics printers. This means output will appear consistent, giving companies the flexibility to work with a wider range of sizes and print run lengths by using the SL-D3000 in conjunction with another Epson printer. Our Imaging and Print Division (IPD) works closely with Epson to provide Wet and Dry solutions for all kinds of printing requirements, making best use of our colour management and technical know-how with Epson’s world-renowned, quality printers. This entry was posted in Color Confidence, Printing and tagged Epson, Epson D3000, Epson SL-D3000, Epson SureLab on August 14, 2013 by colorconfidence.